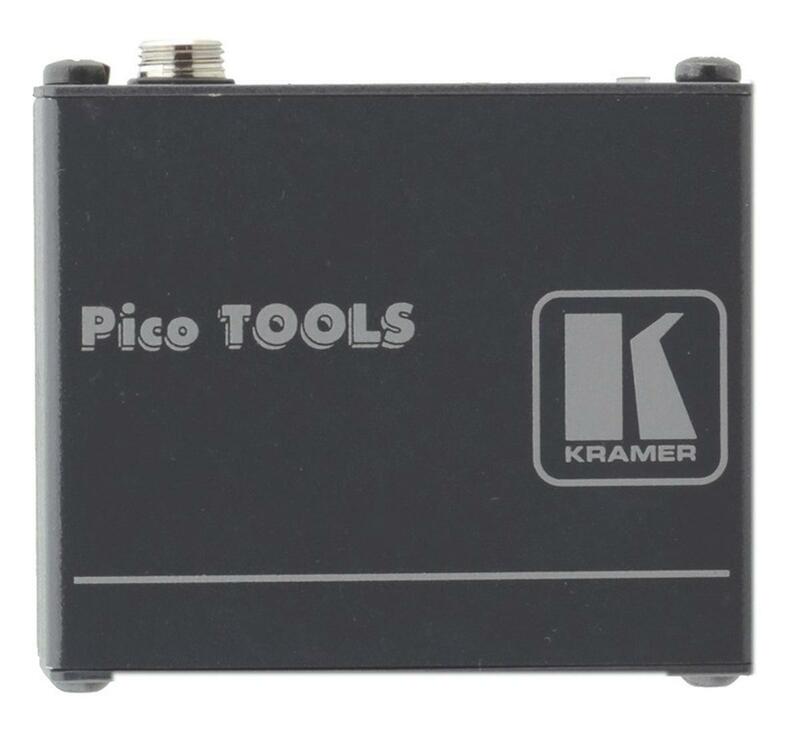 The Kramer PT-571 is a DGKat twisted pair transmitter for HDMI signals. 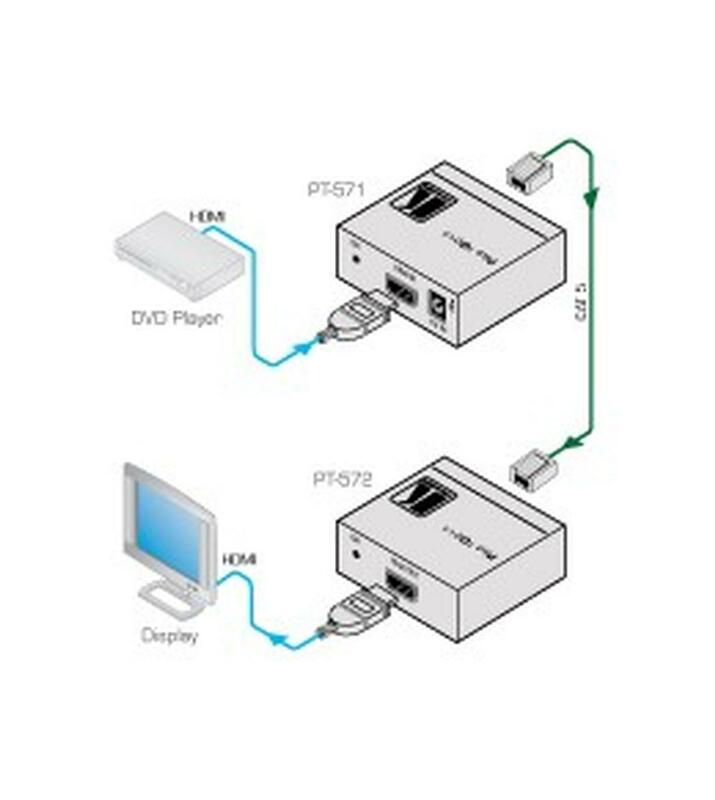 The PT-571 converts an HDMI signal to a single twisted pair signal and the PT-572+ converts the twisted pair signal back to an HDMI signal. 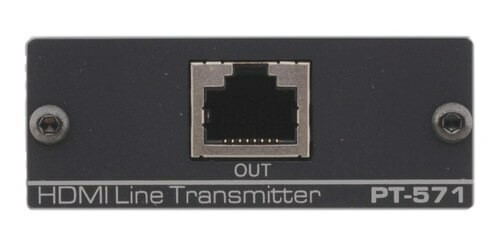 You can send your HDMI signal via a 1080P signal up to 230' using C-DGK6-DGK6 cable. When the PT-572+ is within 150' of the PT-571 the transmitter will power the receiver so the receiver doesn't need power. 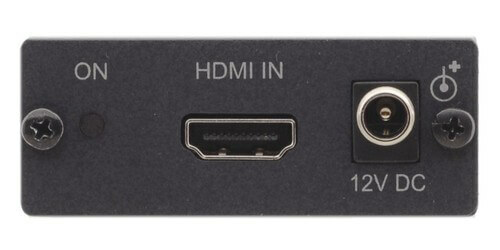 Applications include: board, conference, and training rooms, presentation systems, signal distribution and home theater, or anywhere it is difficult to run an HDMI cable. 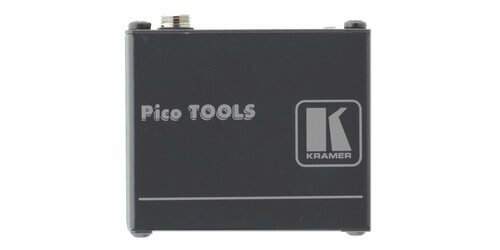 Typical HDMI cables start losing their signal above 50', that is when you can substitute CAT6 to send your HDMI signal.